Asynt reports how the Rannard Group at the Materials Innovation Factory, at the University of Liverpool (UK), uses new technologies supplied by the company to help improve the environmental impact and reduce water and electrical consumption within their materials science discovery laboratories. The Materials Innovation Factory (MIF) is a partnership between Unilever and the University of Liverpool (UK). Combining knowledge leadership in Materials Chemistry, multi-disciplinary research expertise, facilities and dynamic support infrastructure, the MIF offers an unrivalled European facility for research. Also contained within the MIF is the University of Liverpool’s contribution to the Henry Royce Institute, created to underpin the UK government’s industrial strategy for economic growth through materials science and innovation. 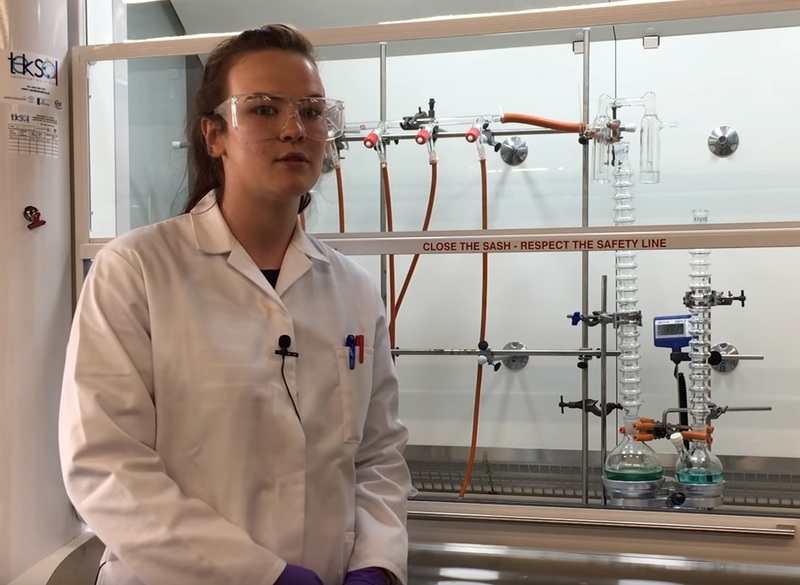 Synthetic chemists often need to perform reactions at elevated temperatures in refluxing solvent – traditionally this has been accomplished by heating the reaction mixture in an oil bath using a water-driven condenser to cool the hot solvent and prevent evaporation. DrySyn multiple position heating blocks have enabled scientists to undertake clean, safe synthesis without the hazards, or problems, associated with oil baths. Used in conjunction with CondenSyn air condensers, rather than traditional water-driven condensers, water and electrical consumption within the laboratory has been dramatically reduced with the added bonus of eliminating the possibility of floods. Further environmental sustainability improvements have been made through the installation of new Genlab E3 drying ovens and Julabo circulator chilling systems supplied by Asynt. Unlike traditional drying ovens – the E3 drying oven is incredibly well insulated and has a built-in timer and adjustable vent cover resulting in little energy being wasted in heat dissipation to the lab environment. The Julabo chilling system has replaced wasteful tap water consumption used for cooling rotary evaporator condensers.